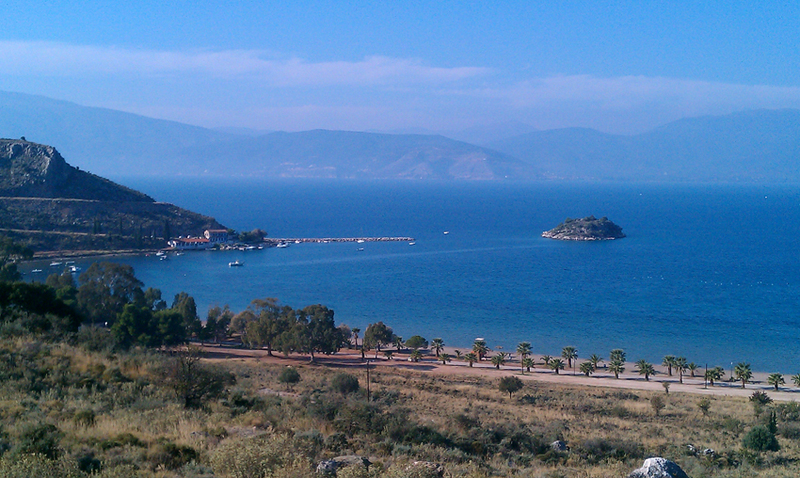 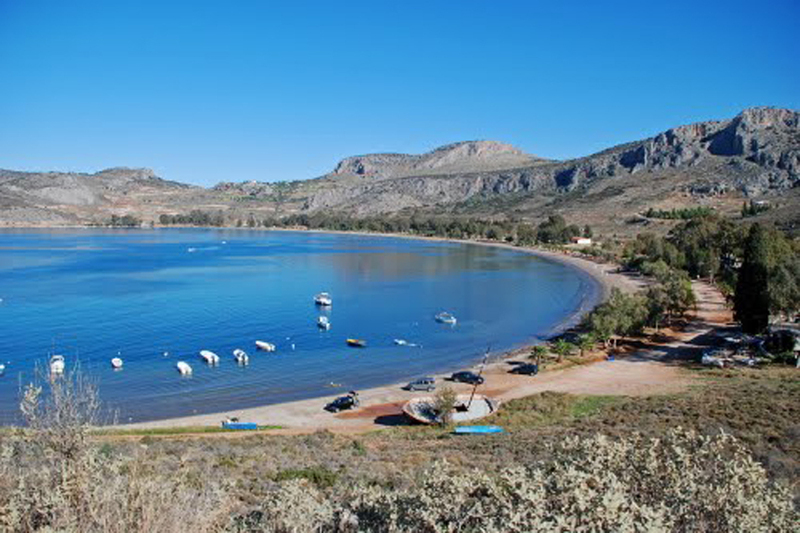 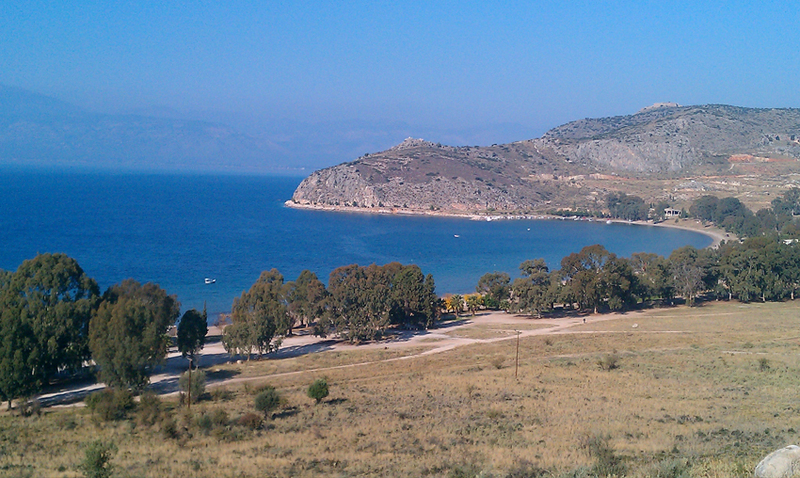 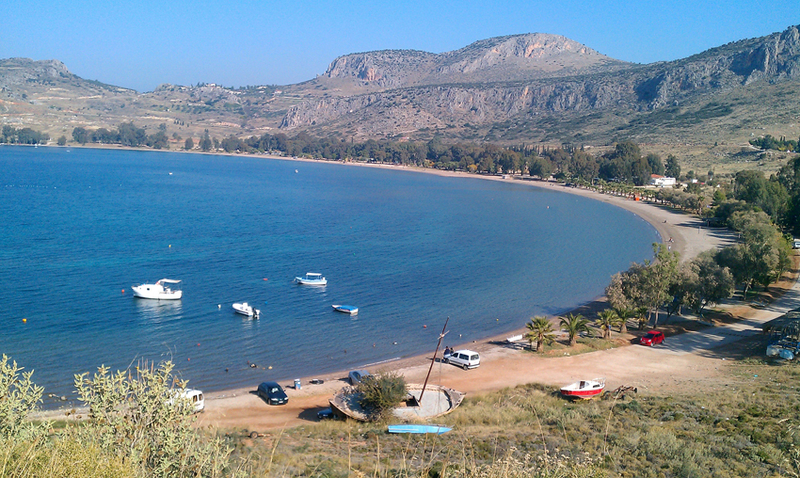 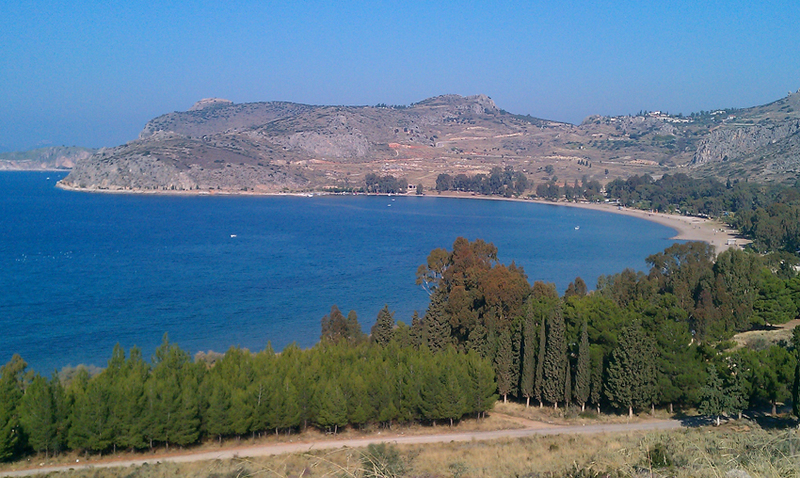 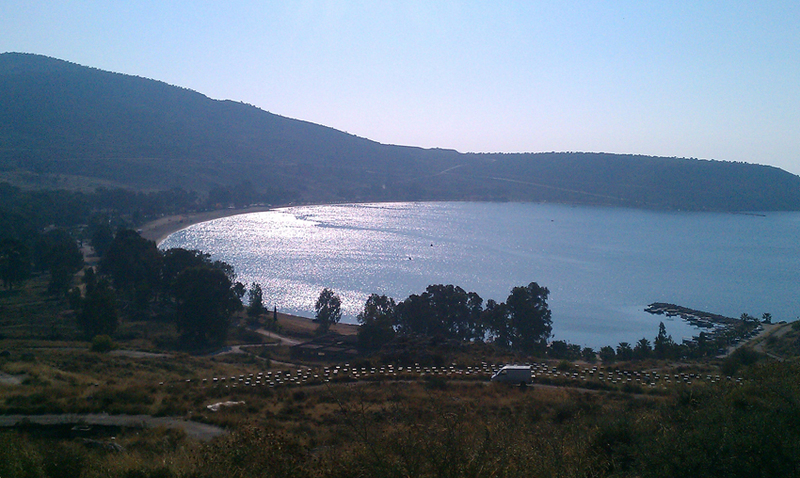 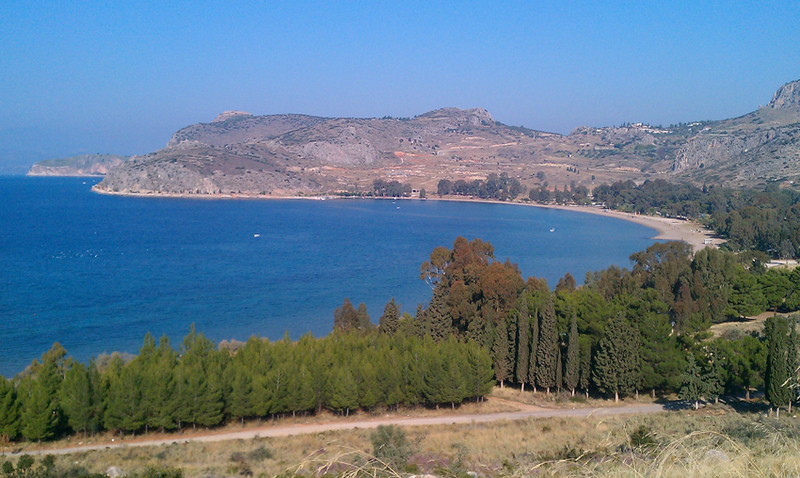 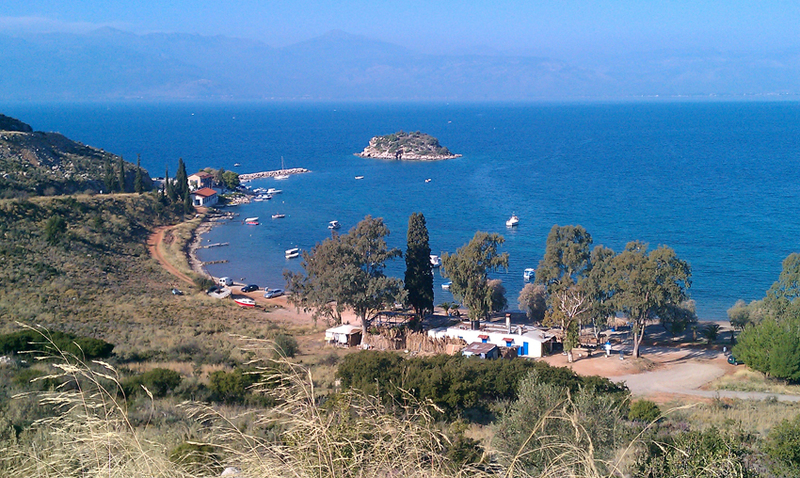 A large sandy beach just 10 min from Nafplio and 20 minutes from Tolo. 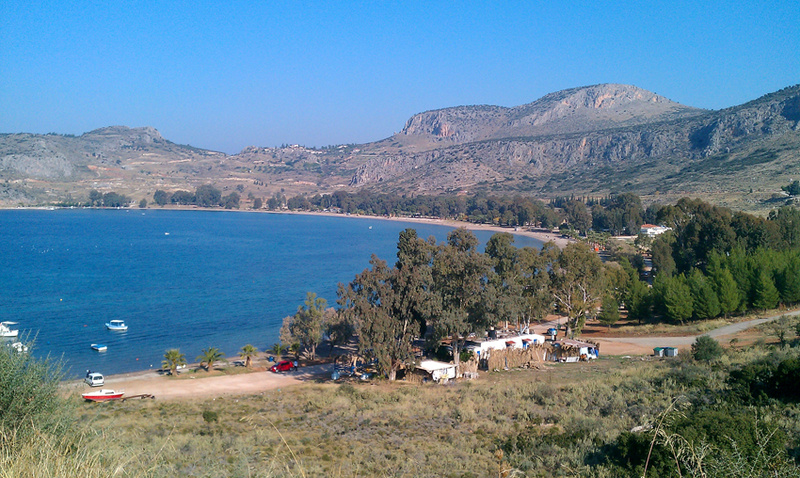 The sea is quite swallow, ideal for families and it is well organised. 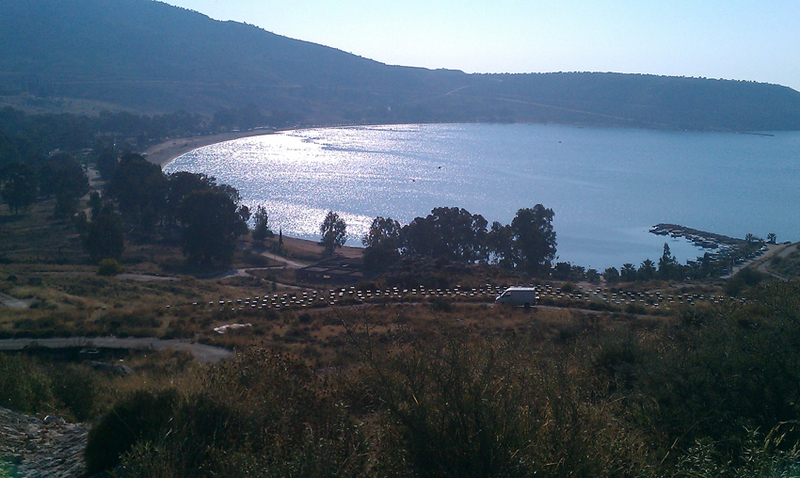 Umbrellas and sun chairs are available for rent. 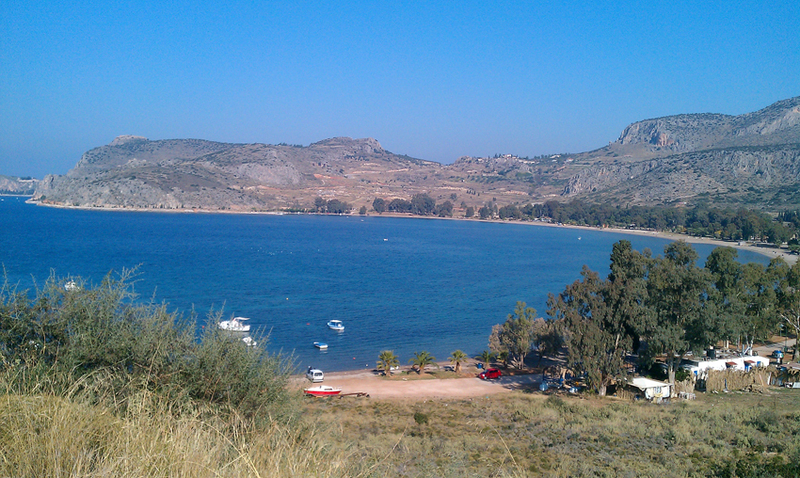 There are 3 – 4 beach bars serving snacks too. 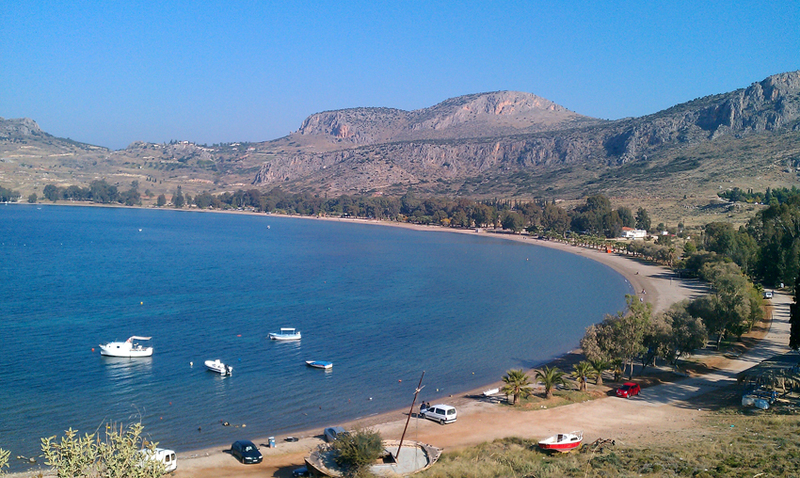 Free parking along the beach – which can become very busy – especially at week-ends when the locals from the area come out to swim!.